David Harrison knew Sir Doug Ellis well for decades. From his time as the Express & Star’s Molineux correspondent more than 35 years ago, he also remembers the businessman’s less publicised time in these parts. On the eve of a funeral that is strictly invitation-only, the lifelong Wolves fan offers a personal view on this ‘other’ side of Ellis. 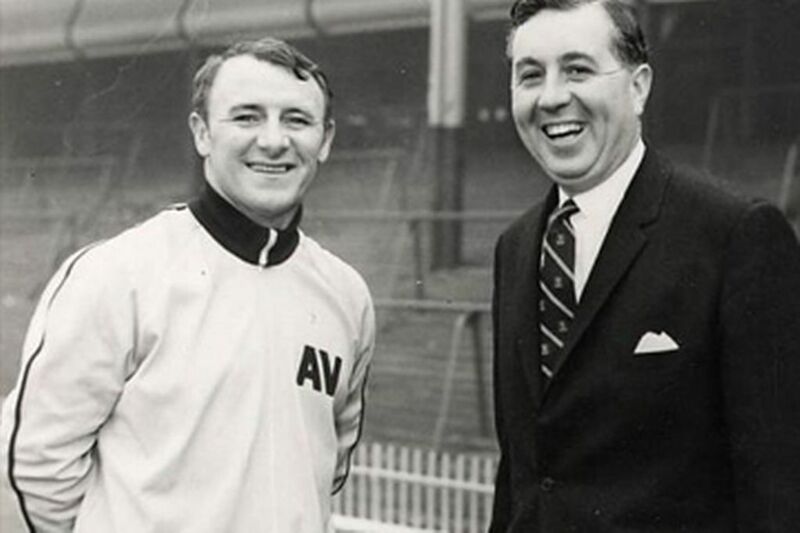 A late-1960s Birmingham Mail photo showing Doug Ellis with Tommy Docherty. The passing of Sir Doug Ellis has invoked many tributes, anecdotes and recollections on the life of a man who was larger than life and who inspired and infuriated his associates in equal measure. He was universally known as Mr Aston Villa, although he also had brief spells as a director of Derby and Birmingham and, even more briefly and controversially, as chairman of Wolves. It was in the summer of 1982 that Deadly Doug (so nicknamed by Jimmy Greaves on a salmon fishing trip to Scotland after he brutally clubbed a catch) surfaced at Molineux. 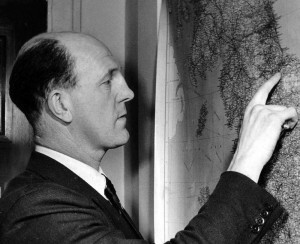 At the time, Wolves were in almost terminal decline during the bitter in-fighting which led to the removal of Harry Marshall as chairman. Into the breach stepped Ellis, accompanied by legendary former Wolves keeper Malcolm Finlayson. Ellis had been deposed as Villa chairman and, ironically, the club won the League Championship and European Cup while he was away. But his tenure at Molineux was to be short-lived. The more cynical observers of this piece of Wolves history saw it as a blatant piece of opportunism by Ellis. By calling in the receiver, he effectively engineered an opening to buy the club on the cheap and, at the same time, eliminate most of the debts. It was a flawed exercise since the receiver, Peak Marwick, in effect, set up an auction which was ultimately won by the Bhatti Brothers and triggered an unforgivable and unforgettable Molineux episode. Typically, Ellis later attempted to rewrite history by insisting he never really wanted to buy Wolves but was merely acting as a caretaker to ensure the club stayed in business. Stan Cullis……found an ally from across the patch. For all his faults and idiosyncracies, there is no doubting Ellis’s impact on the football and business world and his contributions to charitable causes far outweigh the blemishes in his character. I saw his compassionate side in the way he embraced Stan Cullis at a time when the Molineux maestro was hardly being given the red carpet treatment at Wolves. Sir Doug hailed from Hooton, close to Stan’s birthplace of Ellesmere Port, and the two enjoyed a lifelong friendship. A VIP seat at Villa Park was regularly available and Ellis always spoke with a warmth and sincerity about Wolves’ most famous and successful boss of all time. Posted on: Thursday, November 8th, 2018.